First of all, I'd like to remind you about the contest that we are running at Sharp End Training Russia. A simple tweet or Facebook "like" can make you a winner of our Complete Blogging Toolkit for Translators! It's a wonderful opportunity! The contest will be running until October 20, so don't miss your chance! You can read more here. 1. The word translation derives from the Latin translatio (which itself comes from trans- and fero, together meaning "to carry across" or "to bring across"). 2. Translation is one of the most ancient professions in the world. 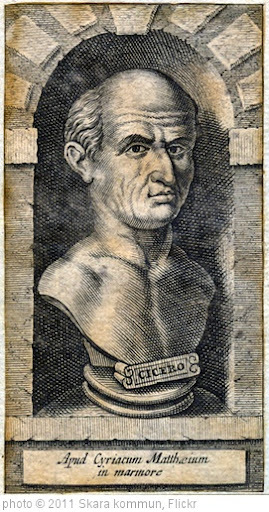 In fact, in the first century BC Cicero and Horace made some valuable comments on translation practice, including the difference between word-for-word translation and paraphrase (translating the meaning versus translating words). 3. In the 13th century, Roger Bacon wrote that if a translation is to be true, the translator must know both languages, as well as the science that he is to translate. Since he found out that very few translators complied with those requirements, his deepest desire was to get rid of translation and of translators altogether. 4. Martin Luther was the first European who said that a translator can do the job well only if the translation is done into his or her native language. 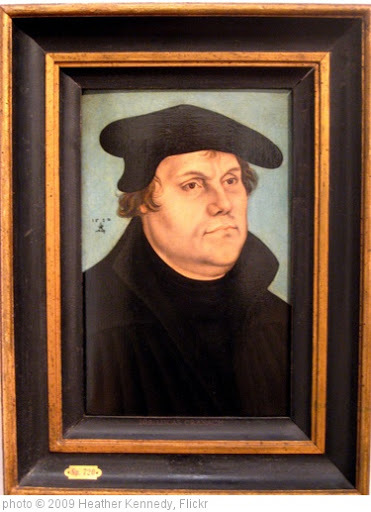 If you remember, Luther was also a translator (he translated the Bible into German). 5. By the way, the Bible is the most translated book in the world. The full Bible was translated into more than 469 languages, and it was partially translated into 2,527 languages. 7. Most translators are actually pretty young! About 48-50% of all professional translators are in their thirties. 8. Among the most famous translators you will find the names of Nostradamus, Vladimir Nabokov and his wife Vera Nabokova, Seamus Heanney (he translated Beowulf into English), Sir Richard Burton (he translated One Thousand and One Nights). You can see the list of famous translators here. 9. According to the Index Translationum, UNESCO's inventory of book translations, Agatha Christie is the most translated author in history. Among other top translated authors you will find the names of Jules Verne, William Shakespeare, Vladimir Il'ic Lenin (can't believe it! ), Hans Christian Andersen, and Stephen King. 10. Among the most translated books you will find Don Quixote (I couldn't find the exact number of languages to which it was translated, but it is one of the most influential literary works in the world and possibly 2nd most translated book after the Bible), Pilgrim's Progress (translated into 200 languages), Homer's Iliad and Odyssey, and The Little Prince by Antoine de Saint-Exupery (translated into 250 languages and dialects). What other interesting facts about translation do you know? Feel free to share them in comments! Der Quran (der Vielgelesene, 1.Vers İkra bedeutet, Lese und denke auf die Art und Weise, wie der Schöpfer des Universums dir im Quran zeigt!) wurde in alle Sprachen der Welt übersetzt! Der Quran stellt auf 40 verschiedene Art und Weise ein Wunder dar, welcher seit 14 Jahrhunderten nicht nachgeahmt werden konnte! Zu "Aber Wikipedia sagt": wie schon bei anderen Themen (z.Bsp. die Anzahl der türkischsprechenden Völker) erfahren, differieren die Angaben zur Wirklichkeit um mehrere Hundert Prozent! Selbst wenn die Angaben nur zu 10% differieren würden, waeren diese Informationen schon ziemlich fraglich! Daher ist Wikipedia für mich keine verlaessliche Quelle mehr! Nun zu Deiner Frage: selbst wenn Du ein Gedicht zu 100% (also Inhalt und Intension und ganz gezielte und bestimmte Wortauswahl) in eine andere Sprache übertragen willst, SCHEITERST DU SEHR SCHNELL ! Geschweige denn, wenn der Text die ganz spezifisch ausgewaehlten und von seiner Tiefe und Bedeutung her Jahrhunderte umfassenden Wunderwörter FÜR DIE MENSCHHEIT darstellen!!! Daran siehst Du, dass eine tatsaechliche voll zutreffende Übersetzung nicht möglich sein kann! WER BIST DU, WOHER KOMMST DU UND WOHIN FOLGT DEINE REISE? Olga, thank you! That's very interesting indeed.